Aromatherapy is the holistic art that uses natural oils extracted from flowers, bark, stems, leaves, roots plant materials, known as essential oils, and other aromatic compounds for the purpose of altering a person’s mind, mood, cognitive function or health. People have been using scented products since time began in religious ceremonies, in massage, in the bath and for scenting the hair and body. It was not until the 10th century AD, however, that Arabic physicians learned how to distil pure essentials oils from plants. Aromatic plants contain essential oils, which are used to relax, sedate, refresh or stimulate according to need. These essential oils have been found to have significant healing properties, in addition to affecting moods. Nowadays Aromatherapy is widespread and has become so popular because it is gentle, user-friendly, natural, and non-invasive. 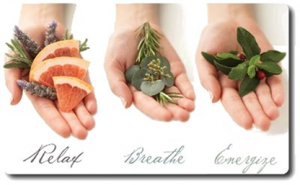 Every one of us comes into contact with some aspect of aromatherapy, whether we are aware of it or not. Divide the word ”aromatherapy” in half, and you have ”aroma” meaning fragrance and ”therapy” meaning encouragement of good health. 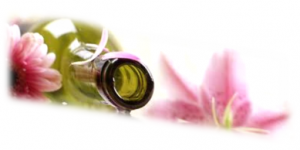 There are certain aromas that we all associate with good health or well-being and cleanliness. They appear in our candles, soaps, shampoos, cosmetics and cleaning products and even in our food. The use of aromatherapy is personal and a lifestyle choice, one that can bring inner calm, beauty and wellbeing to a person’s life by taking into account, not only of the physical state but also their emotions. When essential oils are applied to the body during a massage, the essential oils enter the body through the skin and the respiratory system where they are absorbed in to the blood stream and circulated around the body to heal both on a physical and emotional level. Working on a holistically level the massage techniques are used to induce a feeling of deep relaxation, stimulating the body’s natural immune system, circulation and lymphatic drainage to promote a general state of well-being, calm and soothe the mind, help reduce tension, lift the mood and increase energy levels. Balance the hormone production by the endocrine system. Aromatherapy can be used for a wide variety of health conditions, such as allergies, bruises, scars, insect bites, burns, shingles (herpes zoster), diarrhoea, earache, premenstrual syndrome (PMS), menopause, poor digestion, headache, sinusitis, nausea, insomnia, bronchitis, colds, flu, muscle and joint pains, arthritis plus, other conditions which can be discussed with me during consultation. There are many ways in which essential oils can be used in daily grooming, which has the added benefit of the therapeutic properties of the essential oils such as: Air freshening, steam inhalation and vaporization, bathing, showers, compresses, in facial creams and body lotions, foot and hand bath, hair care and massage. 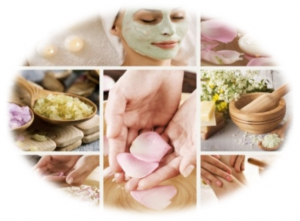 Are you stressed, plagued by aches and pains or just feel like pampering yourself? Try Aromatherapy massage with me and feel the effects of the luxurious essential oil blends, enhanced to calm and relax you instantly. I am a fully qualified Aromatherapist. During my session with a patient, we ensure a brief 15 minute consultation regarding your health (medical history) and wellbeing. After the assessment, I will create a synergy blend of various aromatherapy essential oils (selected from 30 different essential oils) according to your personal requirements. i.e. preference of scent, physical health, time of day, mood, emotions and contraindications. It is imperative that you are pleased with the aroma of the blend for maximum benefits, as odours are so closely linked with our memories and emotions. On request, I also make “Signature Bespoke” blended essential oils to take home for relaxing in a bath, massage, use in an oil burner or wearing as a perfume.